NHS England has reportedly commissioned a big pharma lobby group to create an influential report, stoking fears that the five-year strategy will unfairly influence policymaking. The Specialised Healthcare Alliance (SHCA) that is entirely funded by 13 drug firms, will consult with patients’ groups, charities and health organisations to produce a report feeding into a plan comprising £12 billion of services for the government. This is according to the Independent who reported that SHCA director John Murray is a lobbyist whose company - JMC Partners - works with clients such as Pfizer, AstraZeneca and medical device company Cyberonics. However, Murray told the newspaper there was no link between his lobbying business and the SHCA other than providing secretariat services, saying the SHCA “never takes a position on particular products or treatments in any of its activities”. Clinical director of specialised services at NHS England, James Palmer, said he was indeed aware of Murray’s role as a lobbyist, but added: “there are no opportunities for lobbying in the process of forming clinical policy”. Palmer said the work by SHCA would feed into a ‘draft strategy’ along with input from another 16 ‘engagement events’. Murray co-wrote the report with Palmer who oversees the health service’s £12 billion budget for complex diseases like cancer. Whilst there are no specific spending recommendation contained in the report, it does suggest the NHS should ‘ditch less effective treatments’ in favour of ‘new services or innovations’. 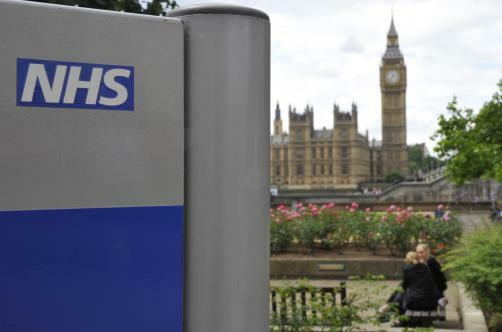 These findings will raise significant questions about links between the lobbying industry and NHS England - a quango set up to run the NHS under the government’s health reforms. The Independent says senior MPs suggested it showed the medical industry was able to use its “wealth to influence government policy at will”. One has even called for a parliamentary debate it reported. The SHCA describes itself as a group representing more than 90 patient groups and charities such as Bowel Cancer UK, the British Liver Trust and Epilepsy Action. Its costs are paid for by drug companies, all of whom pay £12,000 a year. In a statement NHS England said the report did not involve a conflict of interest, saying it was “not the final strategy and not NHS England policy”.